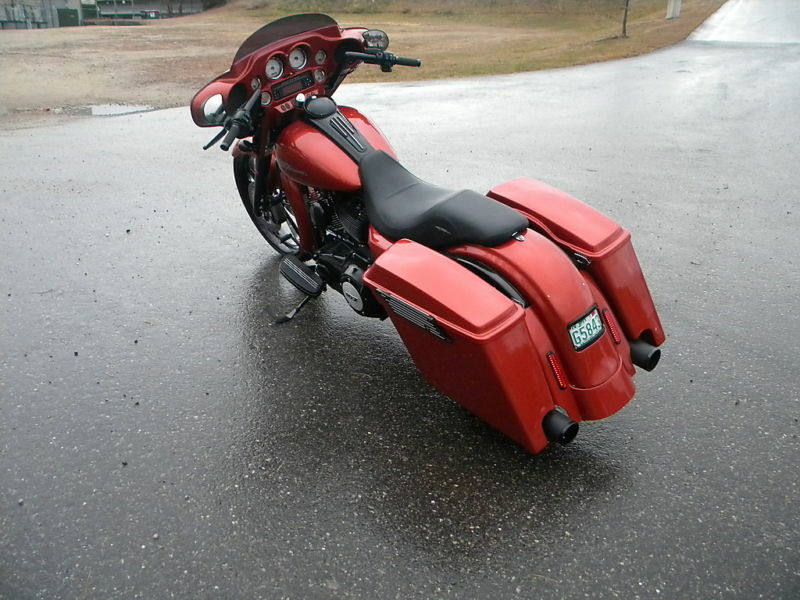 The classy and exotic design of Harley Davidson Street Glide helps to realize its power. Read the review to explore the features, technical specifications & price. The Street Glide from Harley Davidson is unique and attractive in its own terms. The elegant design of the bike with trendy and promising features makes it stand apart. The looks of the vehicle is so fresh and appealing that every passerby would turn around to just have a glimpse of it. Street Glide is not only about its design but also its powerful performance, pick up and luxury. With all the necessary and prominent features into its credit the bike is very famous. 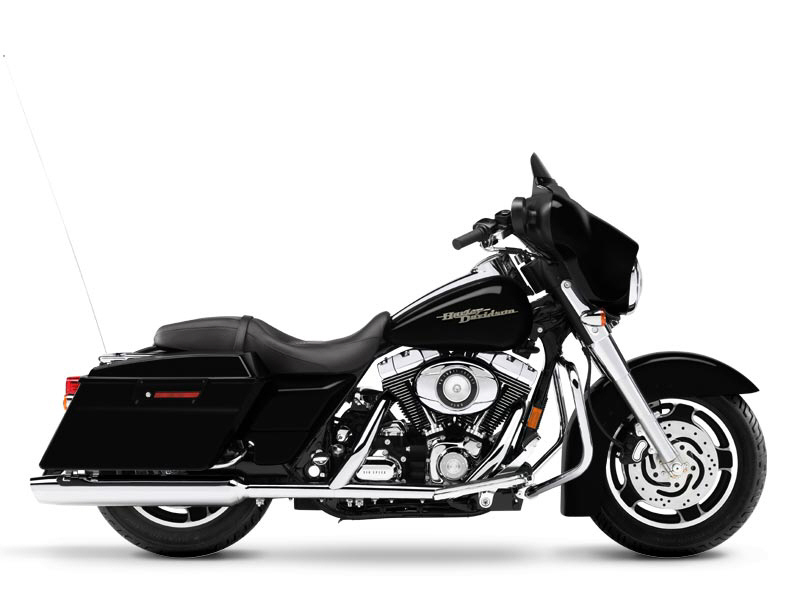 The Street Glide is packed with powerful air cooled, twin cam 103 engine with the displacement of 1690 CC. The Electronic Sequential Port Fuel Injected (ESPFI) system used in the engine helps to utilize every drop of the fuel. The engine produces its highest power by giving the maximum torque of about 134 Nm at 3500 rpm. The Six Speed Cruise Drive Transmission used by this engine helps in easy shifting of gears which increases fuel efficiency. 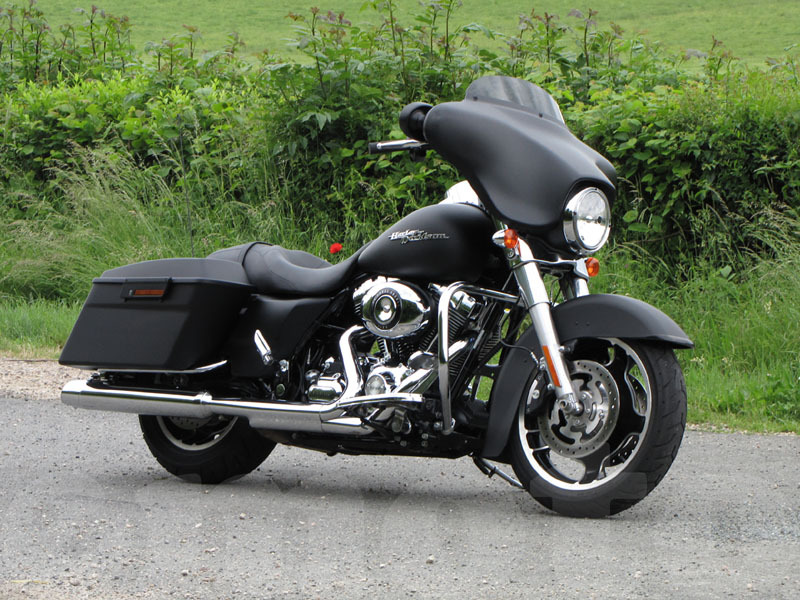 With its unusual and exceptional looks Harley Davidson Street Glide attract people from different walks of life. The traditional and classy design of the bike including the large fuel tank with the company's logo on it looks extremely stunning. The instrument panel, broader alloy wheels and chrome plating gives it a macho look. The saddle bag at both the sides is one of the most interesting features of the bike which adds a lot to its design. Riding this cruiser bike is an amazing experience which everyone like to have. Packed with powerful front and rear brakes it becomes easy to control the bike even at higher speed. The front telescopic and rear short air adjustable suspension improves the stability of bike and also ensures jerk free ride. The large stylish wheels not only meant for looks but also to provide greater road grip thereby helping to ride even on the most slippery surface. Under test drive condition Harley Davidson Street Glide gives the mileage of about 18 Kmpl. The ex-showroom price of Street Glide is about Rs.24,50,000. The bike is available in six prominent shades namely vivid black, big blue pearl, ember red sunglow, black denim, H-D orange and deep purple.